Sno-Way Snowplows: Stronger. Smarter. Better. With the push of a button, the DPSystem is engaged. Due to the shift in weight, the Sno-Way plow is turned into an even more powerful and profitable snow plow. The DPSystem maximizes snow plow performance in both backdragging and scraping under allconditions. Therefore, your efficiency is increased by as much as 30%. Hydraulically distributes snow plow weight from only the front axle to both the snow plow's cutting edge and the rear axle. 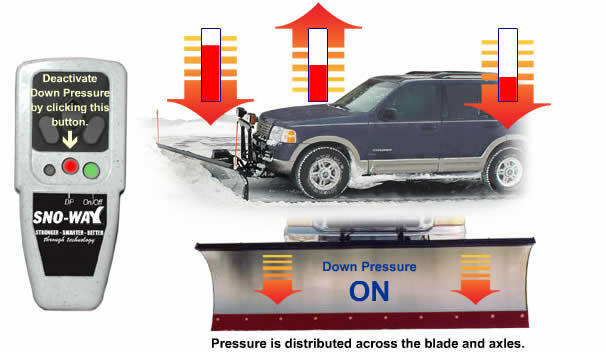 This results in increased cutting edgeforce while plowing and increases the overall traction of your truck. The DPSystem puts the snow plow weight right where you need it – on the cutting edge. A Sno-Way plow has more cutting edge weight than other comparable snow plows. Even Sno-Way snow plows that weigh as much as 250 lbs. 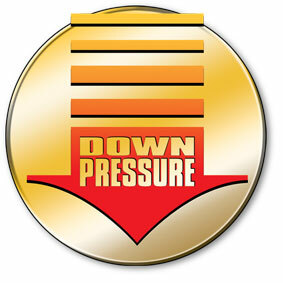 less than direct competitors' snow plows beat them in cleaning, performance and efficiency using the DPSystem.